OIL CITY, Pa. (EYT) – An Oil City couple is awaiting sentencing in a disturbing child abuse case. 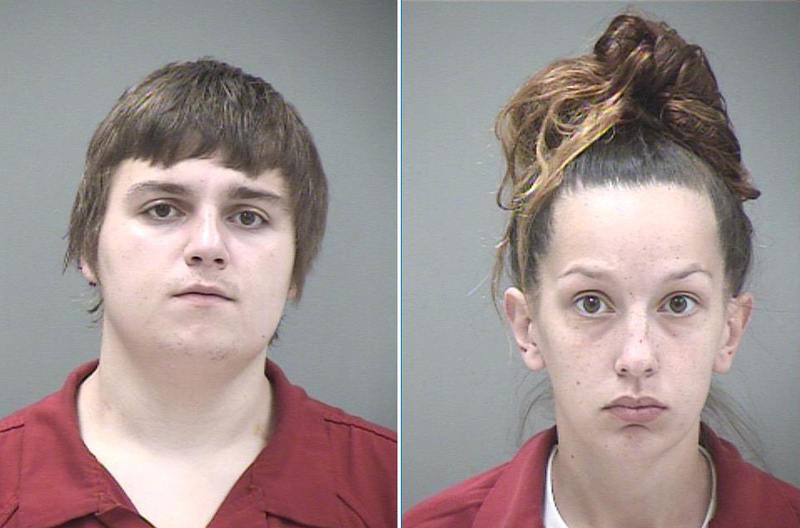 Brennen Allen Blauser, 21, is scheduled to be sentenced on February 26, 2019, at 9:00 a.m., and sentencing for Ashley Marie Caldwell, 23, is slated for March 8 at 9:00 a.m.
Charges against both individuals were held for court on Wednesday, August 8, 2018, in a preliminary hearing in Venango County Central Court. As part of a negotiated plea deal, Blauser pleaded guilty to one second-degree felony count of Aggravated Assault on December 13, 2018. All other charges were dropped. Prosecution agreed to drop all charges against Caldwell when she pleaded guilty to one second-degree misdemeanor count of Recklessly Endangering Another Person on December 28, 2018. Venango County Court of Common Pleas Judge Judge Robert L. Boyer will hand down both sentences. For more Venango County news, visit exploreVenango.com.